Earn up to <<<$2075>>> per week. This is a Part-Time opportunity with Ability to work for up to 800 Hours/Year & with overtime paid at time and a half after 44 hours. Almost all our installation involve overtime. Please apply as we are hiring 10 millwrights for an installation coming this month. 1. Removal of existing steel mill equipment. 2. Installation of new equipment. 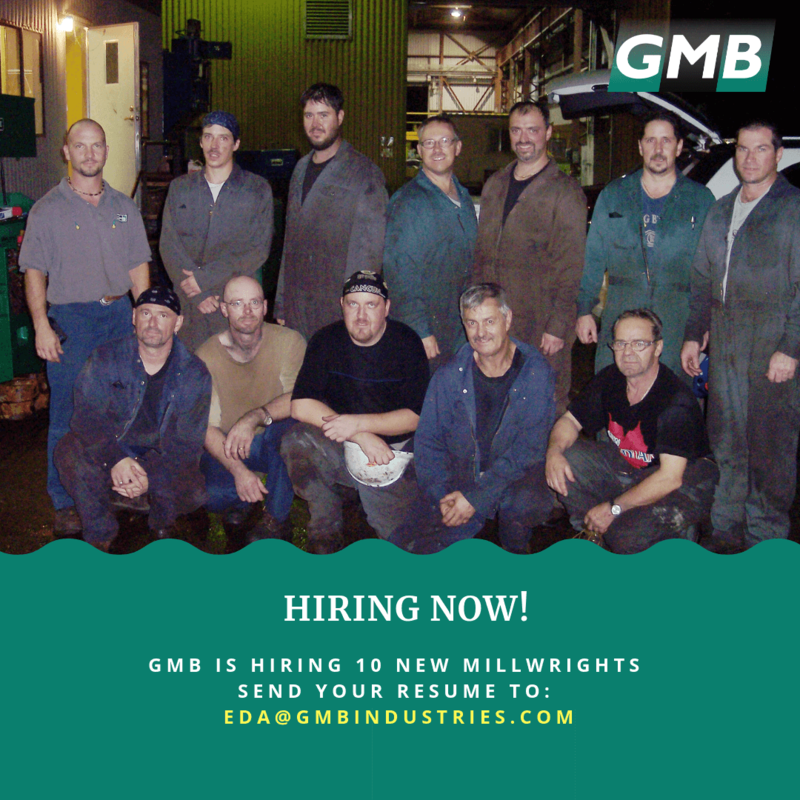 • Applicants should be experienced millwrights or have a strong mechanical aptitude, with experience in the assembly and disassembly of equipment. • Must own a valid passport and be eligible to travel to the United States for periods of 1 – 2 weeks at a time. • Metatarsal safety boots are required, but coveralls, safety hats and glasses, gloves, and ear-plugs, will all be supplied by GMB. • Applicants should be flexible when on site and be prepared to do whatever is necessary to get the job done. • GMB arranges transportation to site, accommodation, and provides per diems for meals. • Please note that safety on site is GMB’s top priority. The pay range is $21-$25 per hour, with overtime paid at time and a half after 44 hours. Almost all our installation involve overtime. GMB Heavy Industries is an Ontario based, Canadian Company that designs, manufactures, and installs steel mill equipment. We have been in business for over 30 years, and have a reputation in the industry second to none. GMB provides reliable, quality, products and services, great customer satisfaction, and gives you the best value for your investment. GMB can supply engineering, project management, manufacturing and installation to provide cost-effective and innovative solutions to your problems. Apply using Facebook: Click here to apply.